Blood gas analysis, also called arterial blood gas (ABG) analysis, is a test which measures the amounts of oxygen and carbon dioxide in the blood, as well as the acidity (pH) of the blood. An ABG analysis evaluates how effectively the lungs are delivering oxygen to the blood and how efficiently they are eliminating carbon dioxide from it. The test also indicates how well the lungs and kidneys are interacting to maintain normal blood pH (acid-base balance). Blood gas studies are usually done to assess respiratory disease and other conditions that may affect the lungs, and to manage patients receiving oxygen therapy (respiratory therapy). In addition, the acid-base component of the test provides information on kidney function. Blood gas analysis is performed on blood from an artery. It measures the partial pressures of oxygen and carbon dioxide in the blood, as well as oxygen content, oxygen saturation, bicarbonate content, and blood pH. Oxygen in the lungs is carried to the tissues through the bloodstream, but only a small amount of this oxygen can actually dissolve in arterial blood. How much dissolves depends on the partial pressure of the oxygen (the pressure that the gas exerts on the walls of the arteries). Therefore, testing the partial pressure of oxygen is actually measuring how much oxygen the lungs are delivering to the blood. Carbon dioxide is released into the blood as a by-product of cell metabolism. The partial carbon dioxide pressure indicates how well the lungs are eliminating this carbon dioxide. The remainder of oxygen that is not dissolved in the blood combines with hemoglobin, a protein—iron compound found in the red blood cells. The oxygen content measurement in an ABG analysis indicates how much oxygen is combined with the hemoglobin. A related value is the oxygen saturation, which compares the amount of oxygen actually combined with hemoglobin to the total amount of oxygen that the hemoglobin is capable of combining with. Acid-base balance — The condition that exists when the body's carbonic acid-bicarbonate buffer system is in equilibrium, helping to maintain the blood pH at a normal level of 7.35-7.45. Hemoglobin — A protein—iron compound in red blood cells that functions primarily in carrying oxygen from the lungs to the tissues of the body. pH — A measure of the acidity of a solution. Normal blood pH ranges from 7.35-7.45. Carbon dioxide dissolves more readily in the blood than oxygen does, primarily forming bicarbonate and smaller amounts of carbonic acid. When present in normal amounts, the ratio of carbonic acid to bicarbonate creates an acid-base balance in the blood, helping to keep the pH at a level where the body's cellular functions are most efficient. The lungs and kidneys both participate in maintaining the carbonic acid-bicarbonate balance. The lungs control the carbonic acid level and the kidneys regulate the bicarbonate. If either organ is not functioning properly, an acid-base imbalance can result. Determination of bicarbonate and pH levels, then, aids in diagnosing the cause of abnormal blood gas values. The blood sample is obtained by arterial puncture (usually in the wrist, although it could be in the groin or arm) or from an arterial line already in place. If a puncture is needed, the skin over the artery is cleaned with an antiseptic. A technician then collects the blood with a small sterile needle attached to a disposable syringe. The patient may feel a brief throbbing or cramping at the site of the puncture. 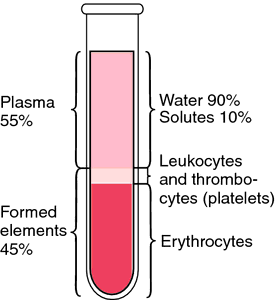 After the blood is drawn, the sample must be transported to the laboratory as soon as possible for analysis. There are no special preparations. Patients have no restrictions on drinking or eating before the test. If the patient is receiving oxygen, the oxygen concentration must remain the same for 20 minutes before the test; if the test is to be taken without oxygen, the gas must be turned off for 20 minutes before the test is taken. The patient should breathe normally during the test. Risks are very low when the test is done correctly. Risks include bleeding or bruising at the site, or delayed bleeding from the site. Very rarely, there may be a problem with circulation in the puncture area. Values that differ from those listed above may indicate respiratory, metabolic, or kidney disease. These results also may be abnormal if the patient has experienced trauma that may affect breathing (especially head and neck injuries). Disorders, such as anemia, that affect the oxygen-carrying capacity of blood, can produce an abnormally low oxygen content value. Thompson, June, et al. Mosby's Clinical Nursing. 4th ed. St. Louis: Mosby, 1997.
the direct electrode measurement of the partial pressure of oxygen and carbon dioxide in the blood. the determination of oxygen and carbon dioxide concentrations and pressures with the pH of the blood by laboratory tests; the following measurements may be made: PO2, partial pressure of oxygen in arterial blood; PCO2, partial pressure of carbon dioxide in arterial blood; SO2, percent saturation of hemoglobin with oxygen in arterial blood; total CO2 content of (venous) plasma; and pH. Clinical medicine The evaluation of arterial blood for O2, CO2, and bicarbonate content as well as blood pH, to determine oxygenation and acid base status. See Anion gap, Metabolic acidosis, Metabolic alkalosis, Respiratory acidosis, Respiratory alkalosis. An invaluable investigation providing information of literally vital importance. Arterial oxygen saturation (PaO2) and carbon dioxide levels (PaCO2) indicate any inadequacy of oxygenation and of breathing. See also OXIMETER. n the study of gas dissolved in the liquid part of the blood. Blood gases include oxygen, carbon dioxide, and nitrogen, all components of inspired air. Pao2—partial pressure (P) of oxygen (O2) in the arterial blood (a); Sao2—percentage of available hemoglobin that is saturated (Sa) with oxygen (O2); Paco2—partial pressure (P) of carbon dioxide (CO2) in the arterial blood (a); pH—an expression of the extent to which the blood is alkaline or acidic; HCO3−—the level of plasma bicarbonate, TCO2, base excess, base deficit. 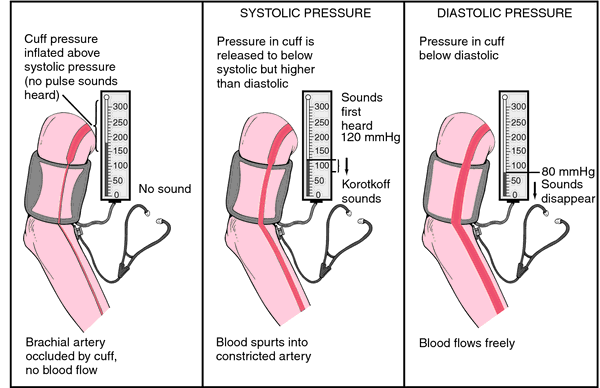 These parameters are important tools for assessment of a patient's acid-base balance They reflect the ability of the lungs to exchange oxygen and carbon dioxide, the ability of the kidneys to control the retention or elimination of bicarbonate, and the effectiveness of the heart as a pump. Because the lungs and kidneys act as important regulators of the respiratory and metabolic acid-base balance, assessment of the status of a patient with any disorder of respiration and metabolism includes periodic blood gas measurements. 3 mL each) were collected from both the aseptically prepared ulnar artery and the brachial vein into lithium heparin tubes with minimal delay between the 2 samples and immediately submitted for blood gas analysis to an in-house laboratory where they were processed within 5 minutes. Pulse oximetry in the detection of hyperoxemia in neonates <1500 grams with RDS, who are treated according to INSURE protocol, has a good validity to appropriately manage the patient without blood gas analysis. Blood gas analysis of newborn foals infected with Babesiosis were also indicated the tissue hypoxia via decrease level of Percent of Oxygen Saturation which consider as an indicator of the percentage of hemoglobin saturated with oxygen at the time of the measurement (Beall et al. Furthermore, the arterial blood gas analysis just before their discharge verifies this rapid recovery. Viability time of blood gas analysis in bovine venous blood samples stored in ice water bath. An arterial blood gas analysis revealed severely decompensated respiratory acidosis. MediLinks RC Lab Manager, a new module that lets respiratory therapists make blood gas analysis part of the charting process, accesses blood gas data anywhere in a hospital network, stores blood gas data directly into patient records, and allows therapists to combine treatments and lab data on the same flow sheet. Researchers are doing blood gas analysis and analyzing sugar levels for diabetes control.